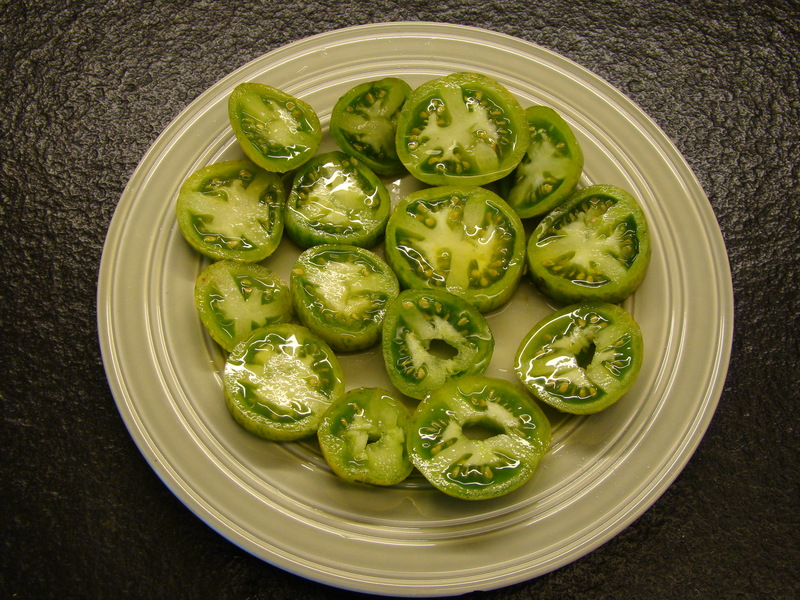 Wager is a potato and tomato breeder from Everett, Washington who reportedly hybridized “Green Zebra” using four varieties of heirloom tomatoes, including “Evergreen,” a medium-size green tomato. Seed Savers describes it as having olive yellow 1½ – 2½” fruits with deep green zebra stripes, although I have never seen the olive yellow color. Mine are green. The sometimes-reliable web reports that Alice Waters was responsible for popularizing “Green Zebra” by using it at Chez Panisse. Perhaps. What I do know is that it does offer a remarkable dialectic of sweet and sour; with the earlier harvest tending toward the tart side, and later harvest emphasizing the sweet. To be frank, I have had trouble determining when my “Green Zebras” are ready for harvest. Two days ago, half of the tomatoes on my plate were inedible. 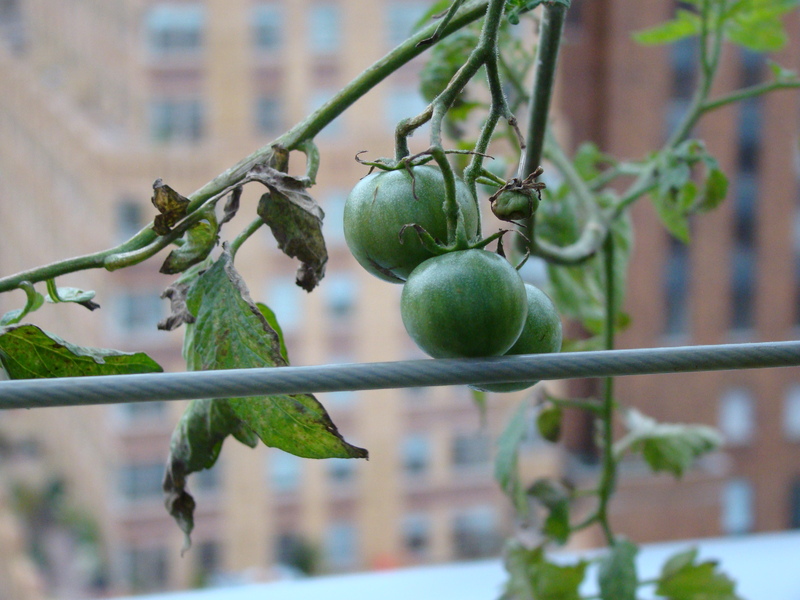 Today’s crop were picked last night by Melissa Metrick and were all perfectly ripe. The secret, I believe, is to harvest by feel, seeking a slight “give” to the fruit and looking for the light green stripes to begin blushing yellow. The experts helpfully note that while all varieties considered “heirloom” are open-pollinated, not all open-pollinated varieties are considered “heirloom.” So, is “Green Zebra” now a “created heirloom”? Perhaps one of my readers will enlighten me. In the mean time, I can reliably report that – heirloom or not — they make a fine breakfast. This entry was posted in Cooking and Eating, Tomatoes, Vegetables. Bookmark the permalink. A created heirloom sounds like a new antique.